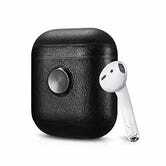 As much I love my AirPods as headphones, the best feature of Apple’s wireless earbuds has always been their fidget-friendly charging case. I’m honestly shocked I haven’t broken the little magnetic lid from all the time I’ve spent absentmindedly clicking it open and closed to keep my hands busy. And now, thanks to Air Vinyl Design’s ZenPod case, your headphones can pull double duty as a fidget spinner too. 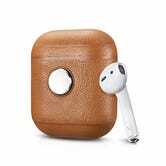 The thin, leather ZenPod sleeve fits your AirPod case like a glove, and completely hides any hint of Apple’s white plastic when fully closed, save for a Lightning cable cutout on the bottom. Two spinner wheels sit on either side of the case, and the ball bearings inside offer as smooth a spin as any fidget spinner I’ve ever tried, albeit with a lot less centrifugal force. ZenPod also lets you continue to enjoy your AirPods’ clicky lid sensation, though it does hamper the experience somewhat. The lid still snaps closed with a satisfying click, but it won’t spring open at a full 90 degree angle with a flick, at least not until you’ve sufficiently broken in the leather hinge. The lack of thumb groove on the case also makes it more difficult to find the lid by feel. These are definitely trade-offs, and whether they’re worth it for you depends on how much you like fidget spinners and/or leather, I suppose. But beyond the gimmicks, ZenPod is just a really nice AirPod case. 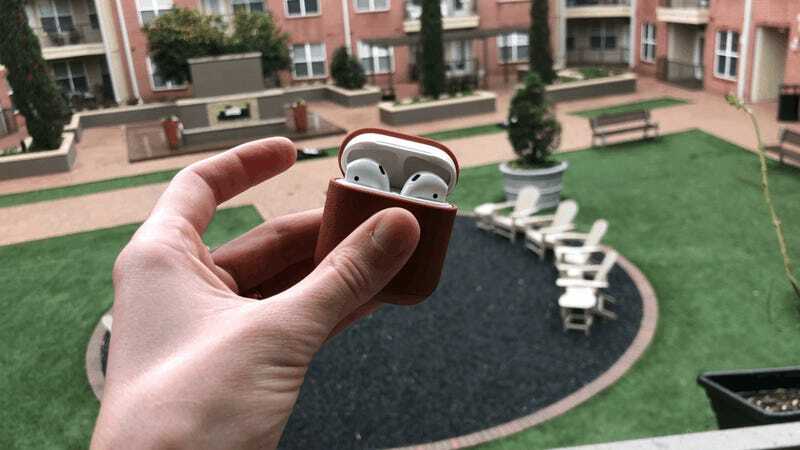 It’s much thinner and easier to slide into a pocket than the silicone cases we’ve seen in the past, and the three available color combinations mean you can easily differentiate different family members’ AirPods, if you have multiple sets lying around the house. It’s not a life changing product, and it’s certainly not something that anybody needs, but I’ll be damned if I haven’t spent all day spinning it.